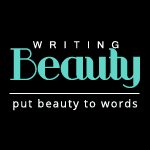 Writing Beauty is PR/Media Friendly. Please note that all reviews will be unbiased and 100% honest. As of January 2015, all PR samples will be denoted with an asterisk (*). 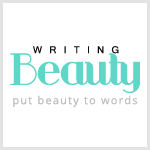 All photos on this site, unless otherwise noted, are taken and owned by Writing Beauty. General comments and questions can be sent to the above address as well. Thank-you so much :) If you do start a blog, please send me the link so that I can follow you! I'm trying to find the nail cavier on your you tube video. Help!